In Tantra, as in Yoga, japa always involves the repetition of a string of words, known as a mantra. A mantra is best received by an aspirant from a preceptor guru in a ceremony called Diksha (initiation). Once an aspirant receives a mantra, and is thus initiated, the mantra is expected to be recited regularly till the attainment of the goal of the spiritual discipline. Outwardly, a mantra is just a string of words having a particular order and repeated in a particular manner. The science of mantra is based on the presupposition that the world of experience, including individuals, things, objects, and happenings or events, is nothing apart from one single basic reality, that of Brahman. In its original state Brahman is nirguna (unmanifest). From it’s the manifest universe evolves. Transcendental sound is called Sabda Brahma. The evolution of Sabda Brahma proceeds in two ways. It gives rise to sabda (sound) in the form of spanda (vibrations). It also gives rise to objects denoted by sounds. 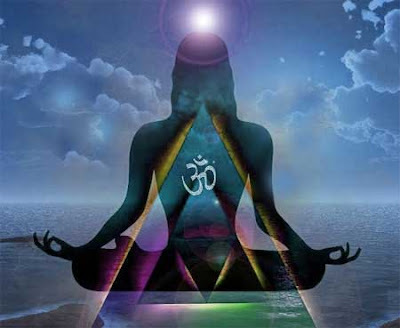 Mantra is supposed to be the framework or the very substance of Sabda Brahma. Through it the aspirant can grasp the basic reality underlying the universe. Thereby one can establish control over the whole of the manifest universe. This fact is explained in the Netra-tantra (XXI.75). Source - Excerpts from Encyclopedia of Hinduism Volume V – page 269.